This is what many teens will be hearing from their teachers about the place of smartphones in schools as they file back into class. But what if they were invited to make creative use of their beloved gadgets instead? Rather than being viewed as an endless distraction for teens — and adults, for that matter — new research indicates smartphones might actually offer an opportunity for deeper learning. In our own research project with teens who had dropped out of school, we found allowing the use of mobile media such as smartphones gave these young people greater autonomy in their learning. And it plugged them back into the educational experience. Restricting their mobility and autonomy was one of the reasons they gave for why they had been turned off school until then. Instead, these teens were now empowered in their newfound ability to move and engage with each other. And the digital networks they were allowed to access led them back to school as a meeting place “IRL” (in real life). We had originally conceived of mobile devices as a means of delivering the curriculum to teens who simply didn’t want to be in school. To our surprise, by using mobile digital networks, we found them eager to converse about their school subjects in person. 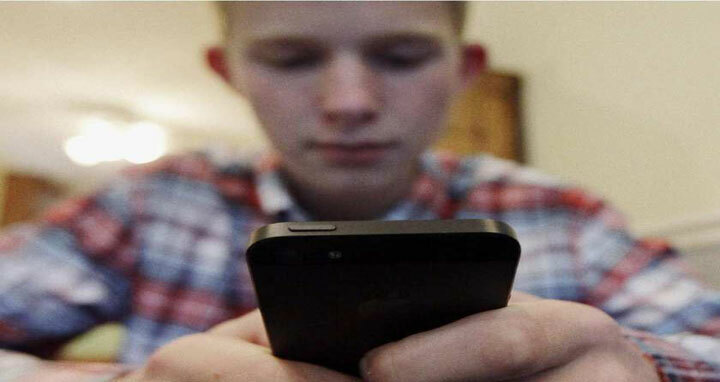 Smartphones are blamed for a range of evils ranging from cyber-bullying to the production and distribution of sexually explicit images (sexting) to cheating on exams. But let’s be honest, bullying and cheating aren’t new behaviours. Smartphones have simply made age-old problems more visible. We’ll miss the mark if we blame the technology. Instead, we should focus our energies on developing educational programs to address these problems and figure out how to better use the technology for learning. The teachers we collaborate with are very receptive to using the mobile media curriculum we are researching. We provide technical and conceptual support throughout the process. In follow-up evaluations, teachers responded that they need still more support and time to fully integrate these new technologies. Sadly, schools have long struggled with balancing their desire to make the shift to the use of innovative technology with the need for professional development in that area — development that comes with a hefty price tag. And yet, we should consider the social cost of not exploring new means of engaging students. In the hands of a good teacher, new technology is an opportunity to deepen thought, encourage new ways of knowing, and give students more ownership of their learning. We have to encourage that diligence by finding ways of supporting these front-line educational innovators. Teacher education programs do their best to equip the teachers of the future with the know-how to bring digital media into the classes they’ll soon tackle. The rapidly changing nature of technology unfortunately means they will need ongoing upgrades to their skills. Today it is smartphones, tomorrow it may be artificial intelligence or digital implants. With every new technological shift, there is a fairly predictable cycle of rejection, critique and then eventual adoption. It’s what Socrates grappled with over 2000 years ago with the advent of writing and the perceived negative effects on human memory. There is no shortage of opinion pieces today warning smartphones are making us stupid. These arguments miss the point that technology merely shifts the way we think and share ideas. There is no inherent menace there. Teens already have their smartphones and will have whatever is coming next. So let’s make sure they put them to the best possible uses today and tomorrow. Then this tech revolution and subsequent ones might be overwhelmingly positive. Juan Carlos Castro is an associate professor in Concordia University’s Department of Art Education and principal investigator in MonCoin, a project examining how mobile learning networks might foster educational engagement with at-risk youth.